This is a photo I took of our Christmas tree but out of focus. 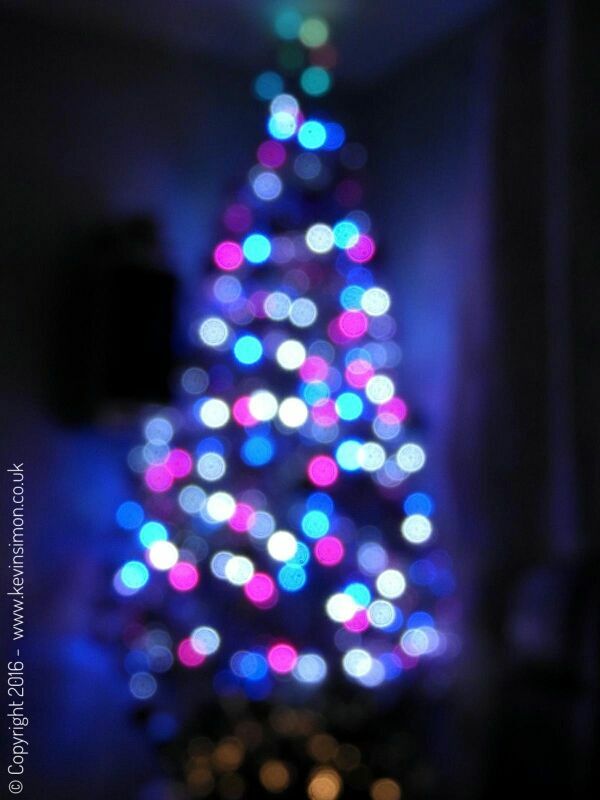 The reason it has been taken out of focus is that normally I wear contact lenses but one night I had my glasses on and without my glasses I am really short sighted so everything is blurry, and as I looked at out Christmas tree without my glasses on it was blurred, but did make it look nice. So of cause I had to take a photo of that kind of effect the one above is my favorite, below are three others I liked that I had taken, all the difference was just adjusting the manual focus on my camera.